South Dakota Birth records filed with the South Dakota Department of Health date back to approximately 1905. In order to obtain a copy of a birth record, a person must complete the South Dakota Vital Records Request form and provide proof of identity. If an authorized representative is designated for the registrant, the authorization section of the application must also be completed and submitted along with a $15.00 fee for each copy requested. The 15.00 fee is required, by law, regardless of whether the record is found. Birth Certificate application forms and instructions are available at the Register of Deeds’ Office, or you may click here for vital record application forms. Cash payment is preferred for copies of vital records. However, if requesting the copy by mail, please include a self-addressed stamped envelope along with your money order made payable to the Minnehaha County Register of Deeds at address is 415 N Dakota Ave, Sioux Falls, SD 57104 (605) 367-4223. We are also able to take payment by debit or credit card; however, there will be an additional expedient fee if payment is made by debit or credit card. 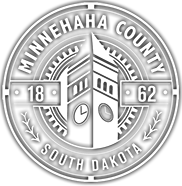 Marriage records in Minnehaha County date back to 1872, some of which occurred when South Dakota was known as “Dakota Territory”. Marriage certificates for marriages that occurred in South Dakota from 1950 to the present can be issued by any Register of Deeds office in the state, regardless of the county where the marriage occurred. If you wish to purchase a copy of a marriage certificate, please complete the required South Dakota Vital Records Request form, have the form notarized or provide proof of identification, and submit the application with the required $15 fee for each copy requested. (Please see “Forms”). A copy will be issued upon location of the record; however, if no record is found, the request is sent to the Department of Health to perform a further search. If the Department of Health also fails to locate the record, the fee will be retained as a search fee and a “no record letter” will be issued by the Department of Health. Death records for deaths occurring in South Dakota from January 1, 1960 to the present may be issued by any SD Register of Deeds office. In order to obtain a copy of a death certificate, the South Dakota Vital Records Request form must be completed, the $15.00 fee paid and proof of identification provided. (Please see “Forms”). The decedent’s name must be provided, along with their date of death and other relevant information requested on the application. Upon location of the record, a copy is issued; however, in the event the record cannot be found, the request is forwarded to the Department of Health for a further search. If no record is located, the Department of Health will issue a “no record” letter and retain the $15.00 as a search fee. Burial permits are records concerning a person’s burial. This record is issued and filed by the Register of Deeds in the county in which the burial occurs. Burial records provide various information concerning a deceased, such as their name, date of death, type of disposition, location of burial, the name of the funeral home, etc. There are no restrictions for searching these records. Burial Permits issued in Minnehaha County date back to the 1920’s and are available to the public.